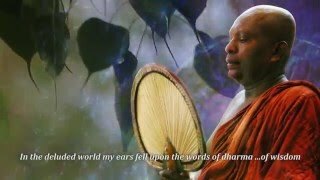 Chandana Siriwardana lives in Kotte, who has wonderful ability of writing dhamma thoughts in his own unique way. He is currently doing the "Hela Bodu Piyuma" monthly magazine which brings immense support to many people around world for their path of enlightenment. And his ability of writing poems are also wonderful. May triple gem bless him for the best and may his noble efforts heals many hearts as much as possible as the way he wish. Have a blessed time with his dhamma thoughts! "හෙළ බොදු පියුම" මාසික සඟරාව ඔස්සේ සඳහම් කැමති බොහෝ ජනයාගේ හිත සුව පිණිස කටයුතු කරන චන්දන සිරිවර්ධන මහතා අපට බොහෝ හිතවත් කළ්‍යාණ මිත්‍රයෙකි. කෝට්ටේ ප්‍රදේශයේ සිටින මොහු විසින් සටහන් තබන සත්ධර්මයෙන් පිරුණු දහම් සිතිවිලි ඇසුර ලැබගන්නට මෙම කොටස වෙන් වේ. තෙරුවන් සරණ ලැබ නිවන් සුවයෙන් සුවපත් වීම පිණිස ඔහුගේ වෑයම ඔබ සැමටද හේතු උපකාර වේවා!! !